Military servicemembers face a myriad of challenges when they are deployed, in training or otherwise unavailable due to their military responsibilities and commitments. The problem is evident in many divorce and parenting cases where the non-servicemember files for a divorce or for parenting time orders when the military parent is unavailable to participate. 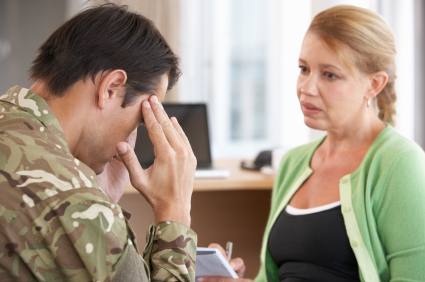 In any divorce or parenting case involving a military service member, the application of the Servicemembers Civil Relief Act (SCRA) can create a roadblock for either or both parties in resolving such a case. The successful application of the SCRA results in delay. The SCRA allows a servicemember the opportunity to avoid a final hearing in a parenting or divorce case because he or she is unavailable due to their military orders. In order for the court to find a servicemember “unavailable” the applicant must follow procedural court rules and provide specific information to the court regarding their “unavailability”. The applicant must provide a letter describing their current military duty requirements and a second letter stating that the applicant’s current military duty prevents the member from appearing in court and properly defending any current legal action. If the application to the court to delay the proceedings is not done properly the request may be denied and the case may move forward with or without the servicemember’s presence. There are cases where either party may abuse the provisions of the SCRA. A parent may want to delay proceedings if they are a servicemember and the primary parent. The noncustodial parent who is not a servicemember may want to move the proceedings forward and create roadblocks after the primary parent makes an SCRA claim in the case. The servicemember may simply want to delay proceedings regardless of whether or not there are children involved because they want to be present when the case is heard by the court and feel it would be a detriment to their case not to appear in person for a hearing. There are a variety of reasons a servicemember may make a claim pursuant to SCRA and there are just as many benefits and detriments to the parties if an SCRA delay is granted by the court. The servicemember will want to discuss his or her rights with an attorney who can provide them with their various options under SCRA. Keep in mind in any instance the court can consider the parties’ respective actions in the case in whether or not a delay should be granted pursuant to SCRA. Any requests to delay the case that appear unnecessary or made in bad faith will be heavily scrutinized by the court. At The Gasper Law Group, PLLC, our experienced attorneys will provide you with blunt advice and advise you of any potential harm that may come to you if you choose to make such a request to the court.